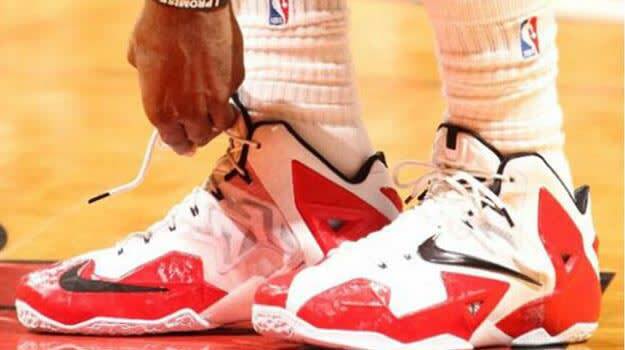 It&apos;s been well documented this season that King James wasn&apos;t the biggest fan of his latest signature shoe model when it was time to hit the court. More often then not, LeBron ditched the "performance marvel" that was the LeBron XI, and would more often then not show up rocking his secondary sneaker line, the Nike Zoom Soldier VIIs. The LeBron XI came off the heels of back to back NBA Championship&apos;s for James and the Heat and Nike threw everything including the kitchen sink into the design process to make the most technically advanced basketball shoe ever. Leading us to ask the question, why was the LeBron XI a failure in many people&apos;s eyes? Joseph Sherman, Complex writer and die-hard LeBron fan, takes a look at just what went wrong with the LeBron XI, and how Nike and LeBron are trying to forget about it just like the end of the Heat&apos;s season. Check out the full article at Complex.